Go to the grocery store and buy celery. I hear they sell it there. What it is doing there among the normal people food? Do people actually eat it? I guess they don’t have a science experiment store. 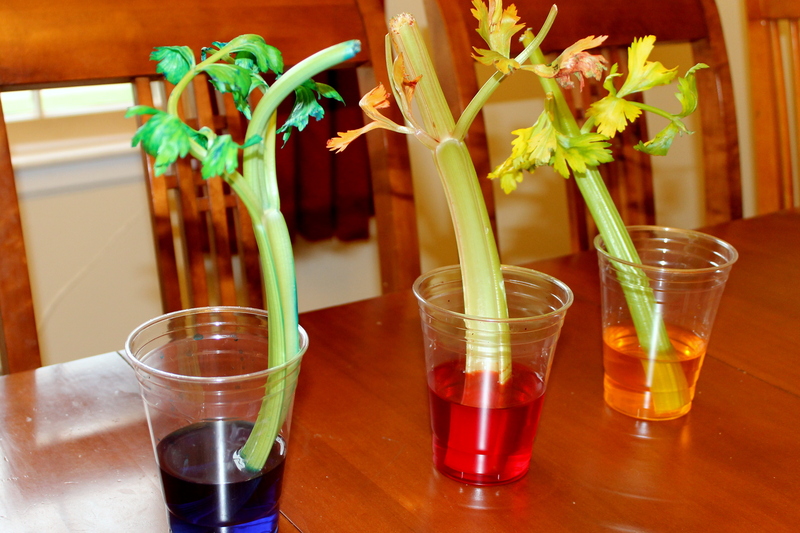 Fill a glass with water and a few drops of food coloring. Cut off a stalk of celery and put that bad boy in the cup. And there you go. You’re officially a scientist. Now you get to use big words like “hypothesis” and “observation” and jot things down in your notebook. I’m sorry, I meant OBSERVATION journal! The National Science Teachers Association website has a wonderful scientific explanation of the experiment and follow-up questions that you can discuss with your child.